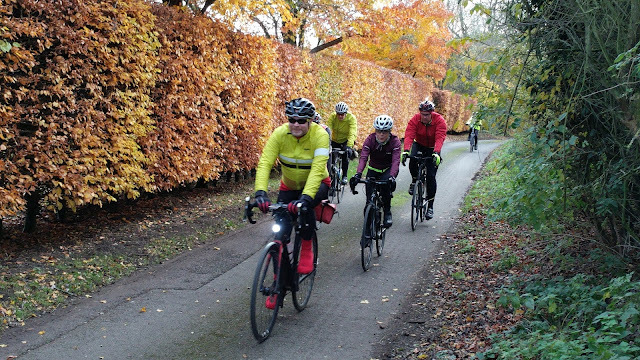 Runs secretary Rupert Goodings writes: We're pleased to announce that our programme of rides for November and December is now published. Our rides during the winter are shorter than during the summer so that we can complete most of the ride in daylight. However please always check this website before you set off in case we need to make last-minute adjustments if the weather is poor. As usual, this new set of rides means that we need leaders. If you are able to lead any of these rides please send me an email at runs@ctccambridge.org.uk. You can plan your own route or you can ask us to provide one for you. If you are tempted to lead a particular ride, but think that it looks too long, then please get in touch - I am happy to consider shorter options.